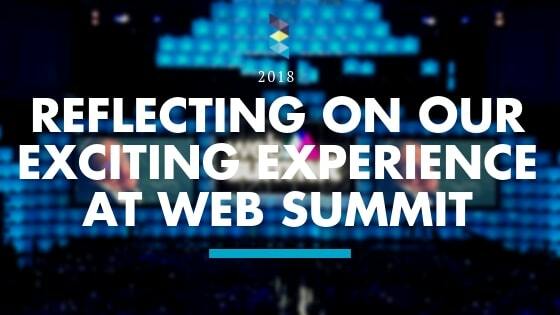 The Zocket team attended Web Summit 2018 earlier this month in Lisbon, and we had a fantastic experience networking with others who are also creating innovative technology solutions. We were excited to be selected for the Alpha Program. This gave us access to our own display space where we could share how we revolutionizing HR tech, and what sets our technology apart. Here’s a glimpse of WebSummit in action. Web Summit 2018 was a huge event, with many different tech companies present. This year, there were far less ALPHA HR tech stands than the previous year. Therefore, Zocket stood out in the crowd! Our team enjoyed having successful investor meetings. Feeling that others shared Zocket’s vision for the future of HR tech was exciting and energizing! The booth made it possible to more easily initiate conversations and show demos of our product. This led to many interactions with companies who were interested in implementing Zocket’s HR recruitment technology into their websites. It was exhilarating to be a part of such an innovative event, surrounded by awe-inspiring people who are all working to create technology that improves businesses and lives. Web Summit 2018 was a chance to exchange learning not just with other HR tech companies, but also with companies creating automation, machine learning, and data analytics technology. The effort, energy, and passion of all these motivated minds was so inspiring to all of us here at Zocket! If your company is interested in what Zocket can do to help you attract, engage, and retain top talent, contact us today!